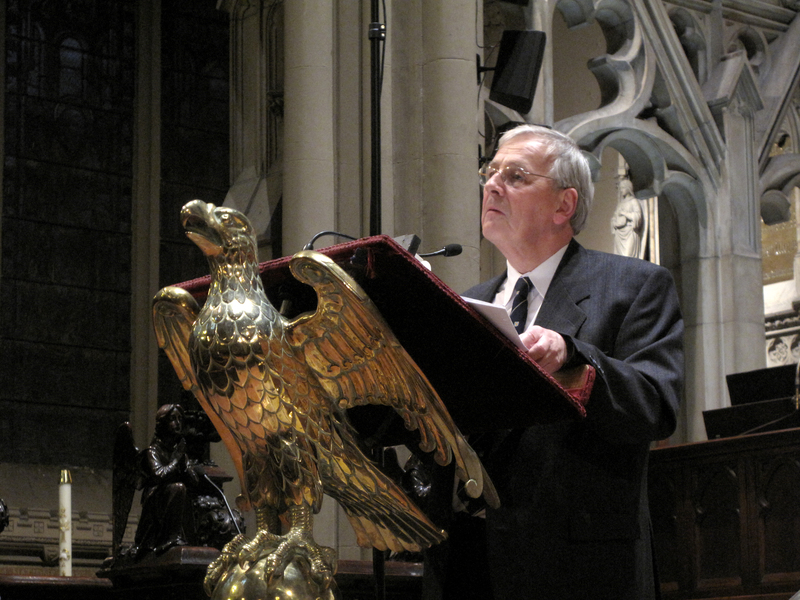 Welcome Home to our friend and inspiration Dr. Barry Rose. 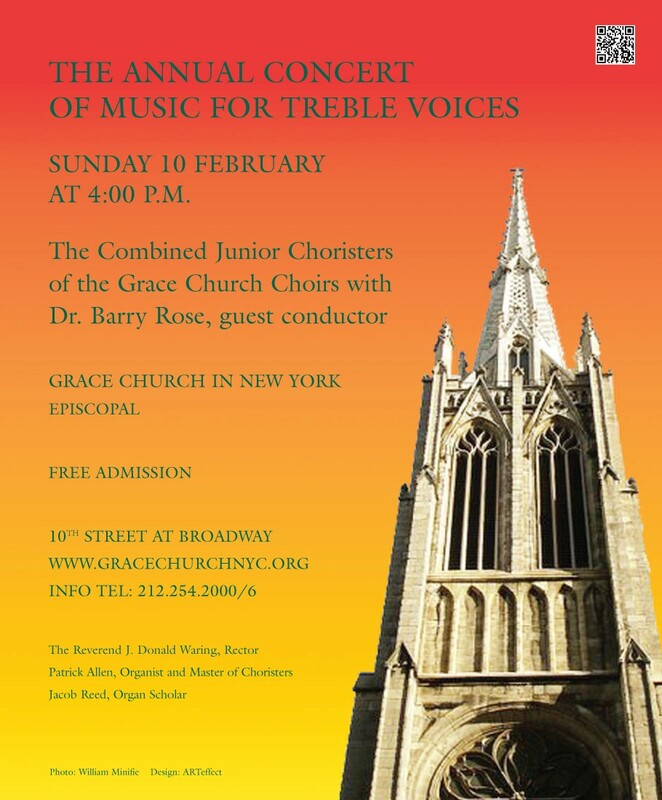 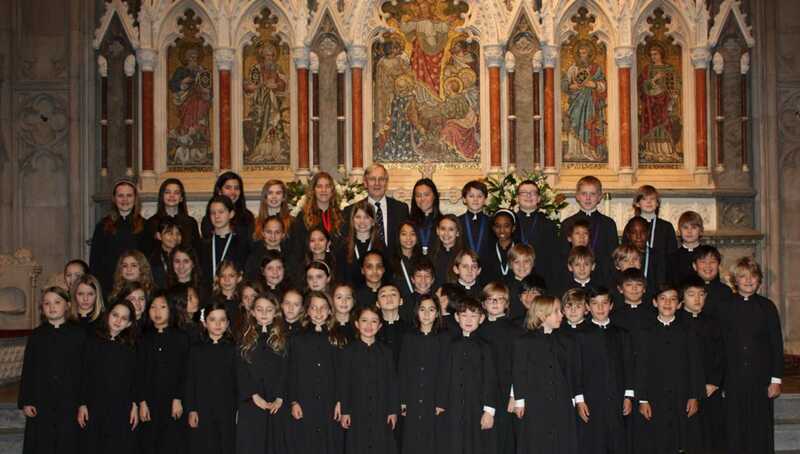 Dr. Rose will be working with the Choristers and taking choir practices between Sunday 3 February and the 10th when at 4:00 p.m. in the Church with our Novice and Junior Choristers they together will offer the Annual Concert of Music for Treble Voices. 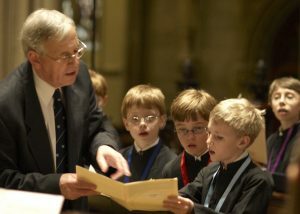 Compositions will include those by Archer, Attwood, J.S. 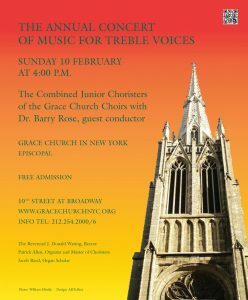 Bach, Copland, Dyson, How, Ridout and Dr. Rose himself. The world premier of a new anthem by Dr. Rose based on the text of the old Irish Blessing will take place at the concert. This annual concert will also include the “Whiting” of Novices and new choristers when our newest choristers receive their surplice and take their place among the junior chorister ranks.